Now I can accomplish my dream of driving a monster truck through rural Vermont. Right in the middle of Ubisoft's E3 conference, somewhere between Aisha Tyler's meme jokes and new South Park footage, we learned that The Crew is getting its first full expansion. Dubbed "Wild Run", it'll be diving into the more niche areas of car culture by introducing new events and vehicle types. As is apparently tradition at this year's E3, it'll be coming out this November, specifically the 17th. The main talking point here is The Summit, a gathering of The Crew universe's best wheel jockeys to show off their skills in events scattered all over psuedo-USA. To fully take advantage of the environments these events will be set in, Ubisoft is adding four new vehicle types: Dragsters, Motorcycles, Monster Trucks, and Drift cars. Unless we start getting into Diddy Kong Racing territory, that should about cover all the ways humans can traverse the terrestrial world. Here's hoping for Radio Flyers in the next expansion. After a tough launch period, Ubisoft has been slowly but consistently improving their MMOCARPG (their own term) through free downloadable content and a multitude of patches. Given that we live in an era that allows for developers to alleviate a game's pitfalls post-release, it'll be interesting to see if Ubisoft can push The Crew's four player online co-op into the heights they originally promised. As always, we'll be keeping you up to date with more E3 coverage throughout the next couple days. Feel free to comment if you'd like to know more specific information about anything announced. 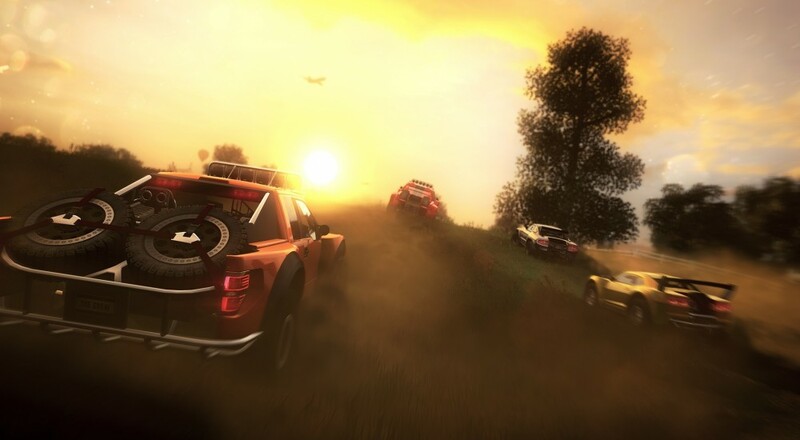 The Crew Gets Its Final Themed DLC With The "Raid"
Page created in 0.5360 seconds.